Enjoy the best inspirational, motivational, positive, funny and famous quotes by Adrianne Curry. Use words and picture quotations to push forward and inspire you keep going in life! 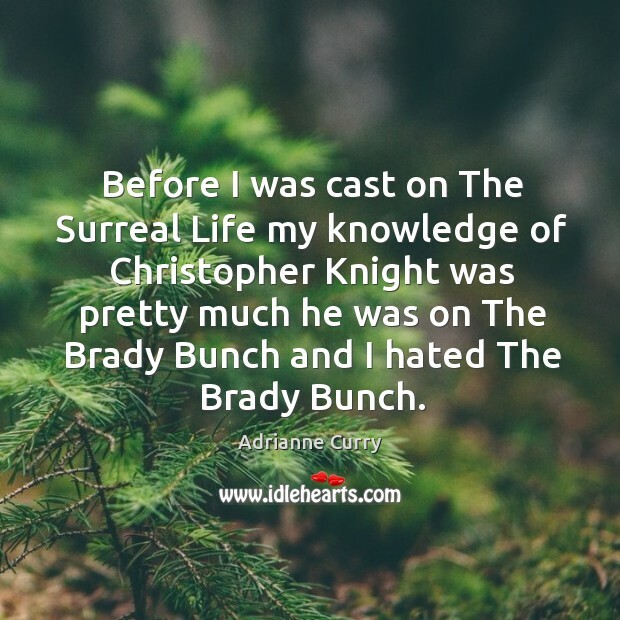 Before I was cast on The Surreal Life my knowledge of Christopher Knight was pretty much he was on The Brady Bunch and I hated The Brady Bunch.